Decabromodiphenyl oxide is incompatible with strong oxidizers . White to off-white powder with a chemical odor. Flash point data for Decabromodiphenyl oxide are not available; however, Decabromodiphenyl oxide is probably combustible. 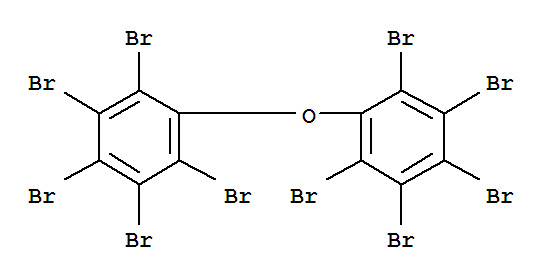 Decabromodiphenyl ether is a brominated flame retardant that is used in conjunction with antimony trioxide in high impact polystyrene.